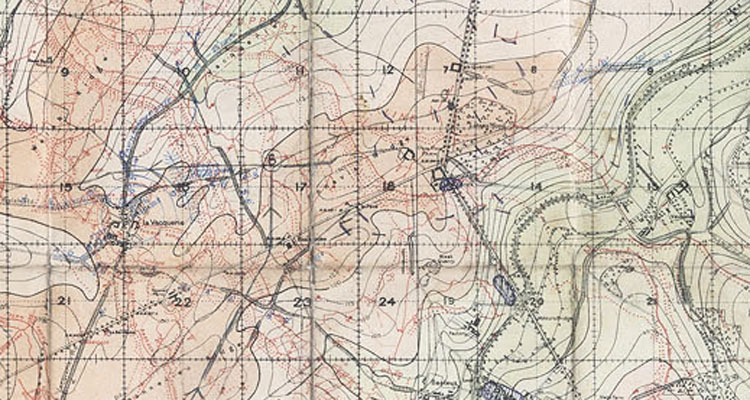 The Battle of Cambrai was fought mainly between two canals; on the western, or British, side it was the Canal du Nord, wide and deep but only partially finished. In the east side, in German occupied France, is the St Quentin Canal which shares the valley with the river Escaut (Scheldt in Belgium) most of which had been canalised as far as Cambrai. The new bridge at Masnieres as it is today. Most of the environment has been restored and you’d hardly know that war had ever touched this place, not here at least. 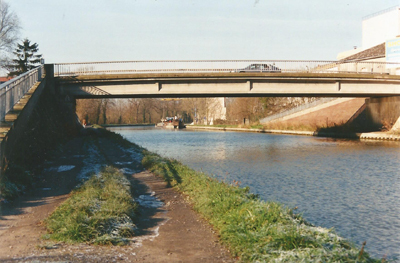 However it was the St Quentin Canal that was the most formidable obstacle to tanks during the Battle of Cambrai, which is why they were hoping to find bridges, big enough and strong enough to support tanks while the Germans were just as anxious to destroy them and use the canal as an effective defensive line protecting Cambrai. 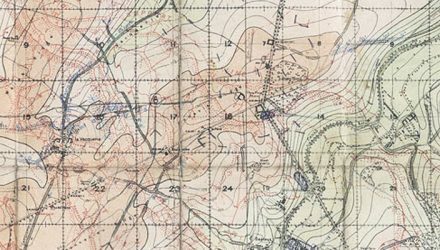 One of the problems of Cambrai was that the artillery barrage had been laid down as a programme, so if the tanks were running ahead of time they had to wait, sometimes for as much as half an hour, for the barrage to move on. 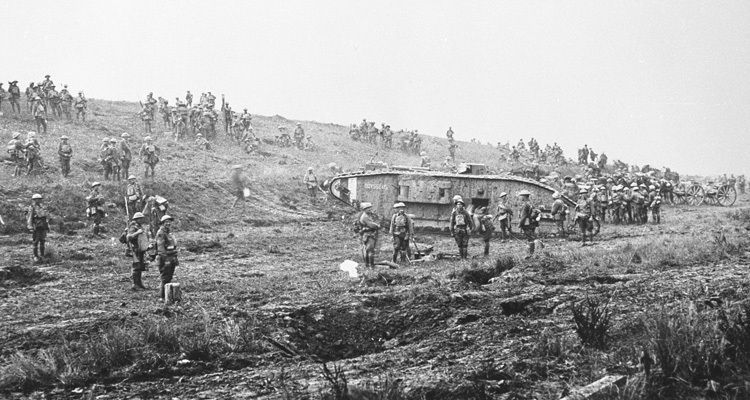 Twelve tanks from F Battalion, under the command of Major Philip Hamond, normally commanding 18th Company in the Battalion had been instructed to make for Masnieres, on the canal, they were held up, waiting for the barrage to move on. 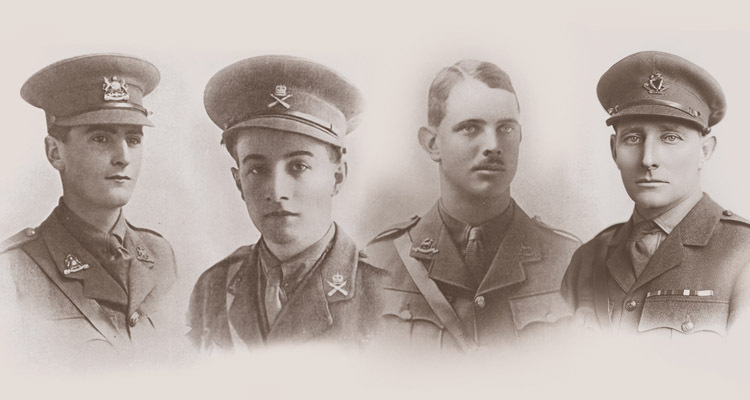 But Major Hamond could not wait, and in company with Private Roberts, ran on ahead. They reached the bridge just in time to see it blown in their faces, but the explosion did not destroy the bridge which settled back into place, another arrival on the scene was Major Martel of the Tank Corps, and as the tanks began to turn up he deployed them to fire across the canal at the German occupied buildings on the other side. Flying Fox II resting on the collapsed bridge in the canal, apart from a broken track it doesn’t look too bad, but the chances of getting it out appear to be slim. He wanted to reserve the bridge for the cavalry but as the enemy fire grew more intense and they failed to show up, Martel decided to send a tank over and directed a male machine ‘Flying Fox II’ (F22) commanded by Second Lieutenant Walter Farrar to make the attempt. So ‘Flying Fox II’, apparently with some men of the Rifle Brigade clinging to the outside, started to make its way across,. 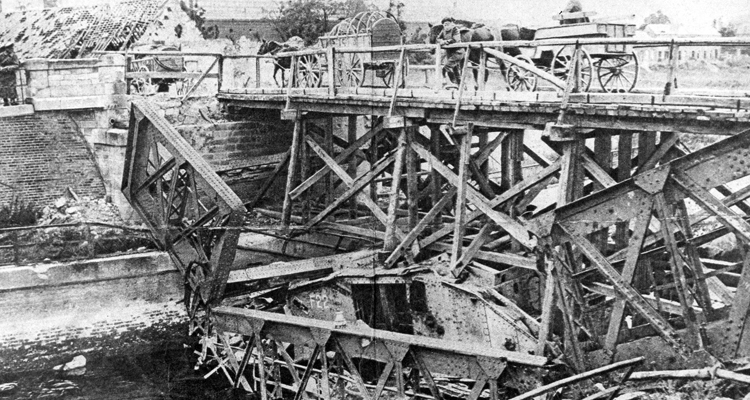 But before it reached the other side the damaged bridge gave way and slowly sank into the canal, taking the tank with it. 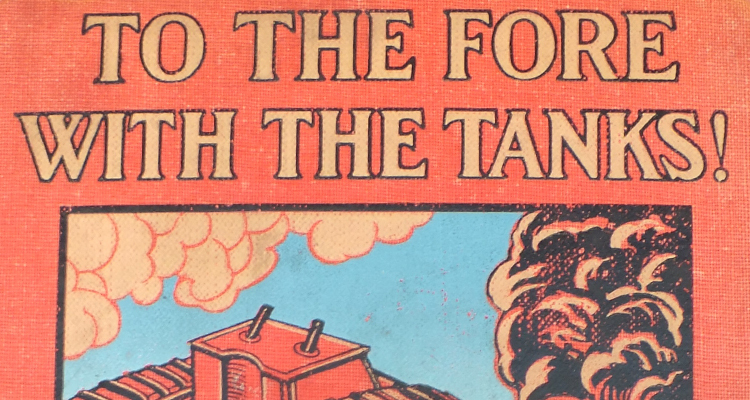 As water rushed in it met the hot engine and gave off clouds of steam, under cover of which Farrar got his crew safely out and, like the captain of a sinking ship, was the last to leave. 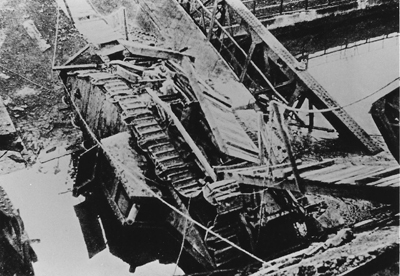 The Germans later built a new bridge on the site, using the immobilised tank as part of the foundations. Walter Farrar was awarded the Military Cross for his courage in attempting the crossing. Basil Liddell Hart, writing an account of the action in Vol 1 of his history of The Tanks says that ‘Flying Fox II’ was commanded by an officer named Edmundson who lost his wig when the tank sank and had quite a struggle getting some recompense, but if Edmundson was there he wasn’t a Tank Corps man and wasn’t associated with ‘Flying Fox II’.